Karyn Keating started her academic career at Gettysburg College where she received her B.A. in Health and Exercise Science while playing Division III Lacrosse with the Lady Bullets. Karyn then built her own business as a personal trainer in NYC with credentials from the NSCA as a Certified Strength and Conditioning Specialist (CSCS) and Certifed Personal Trainer (CPT). During this time she worked with many athletes including marathon runners, triathletes, skiers, soccer players and golfers. In 2009, she earned her Doctorate of Physical Therapy (DPT) at New York University and received both the Elizabeth C. Addoms Award for Academic and Clinical Excellence and the Samuel Ashborn Service and Leadership Award. Karyn has been an athlete her entire life and was a tri-sport athlete through High School, playing Field Hockey, Lacrosse, and Swimming until college where she focused on Lacrosse. Karyn has participated with the Leukemia and Lymphoma Society’s Team in Training Marathon and Triathlon teams, completed a Ragnar Relay, and continues to train for smaller races and 1/2 Marathons. 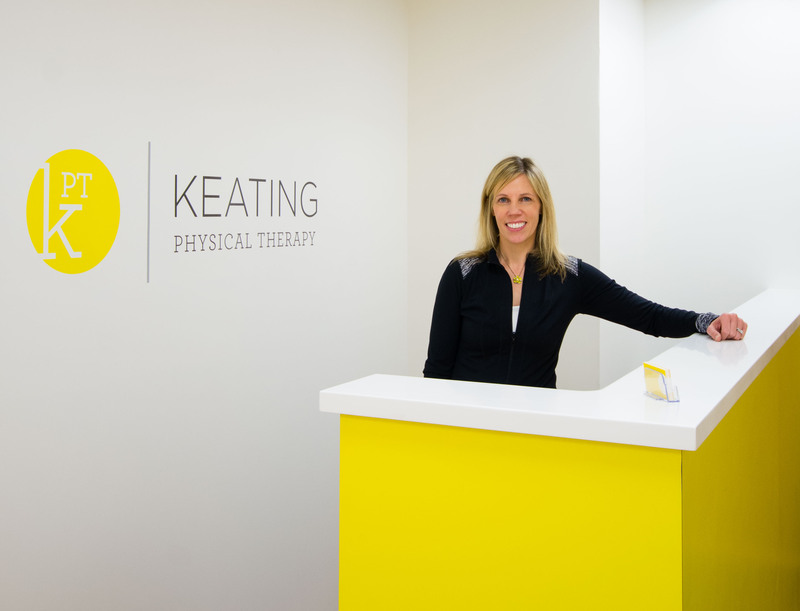 She enjoys golf, skiing and running, and is an active member of the American Physical Therapy Association (APTA). Dr. Amy Ro is a licensed Doctor of Physical Therapy (DPT) and candidate for the Certificate of Achievement in Pregnancy and Post-Partum Physical Therapy (CAPP-OB). Dr. Ro has over 10 years of experience evaluating and treating patients with non-operative and post-surgical diagnoses of the shoulder, elbow, spine, hip, knee, ankle and foot. She also has advanced training in manual therapies including spinal mobilization, functional mobilizations, as well as TMJ treatment. Dr. Ro has advanced training in working with prenatal and postpartum patients with orthopedic conditions, such as low back pain, sciatica, carpel tunnel syndrome, diastasis recti (abdominal muscle separation), and Cesarean scar management. Dr. Ro also specializes in treatment of post-cancer patients, particularly cancers of the head and neck. Amy received her B.A. from New York University in multi-disciplinary arts and sciences with a focus on dance and kinesiology. She also received her Doctorate in Physical Therapy from New York University. Dr. Ro believes in the importance of understanding her patients. She herself has extensive training in ballet, modern dance and yoga and is a former nationally competitive ice skater. When not at work, Dr. Ro spends her time exercising, cooking and chasing after her 3 young children. She is committed to helping her patients heal quickly and meet their personal goals. Dr. Jaime L. Scott graduated from University of Maryland on the pre-medical track with a B.S. in Neurobiology and Physiology. While at UMD, Jaime played for the Club Field Hockey team. She then continued on to New York University to earn her Doctorate of Physical Therapy degree. While at NYU, Jaime was able to become a Certified Strength and Conditioning Specialist (CSCS) as well as volunteer with the Avon Walk for Breast Cancer and New York Marathon. Upon graduating from NYU, Jaime began her career at JFK Johnson Rehabilitation Institute outpatient department where she was exposed to a wide variety of patient populations. At JFK, Jaime was trained in Vestibular rehabilitation, including vertigo (BPPV) and post-concussive syndrome. Jaime has since spent the past 5 years working with orthopedic and sports injuries. In 2015, she attained a long-term career goal and became a Board Certified Specialist in Orthopedics earning her OCS. 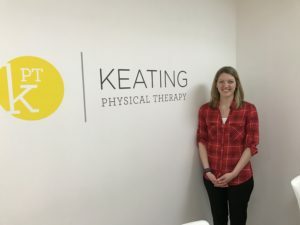 She has also taken numerous continuing education courses to strengthen her manual and clinical skills including McKenzie, Great Lakes Seminars, Neurokinetic Therapy, and Integrative Dry Needling. Jaime has taken a strong interest in holistic medicine and has recently made the decision to return to school to earn her Master’s Degree in Acupuncture from Eastern School of Acupuncture and Tradition Medicine. Once completed, Jaime hopes to be able to combine the two worlds of Physical Therapy and Acupuncture to create a more well-rounded and multi-faceted approach to patient care. Jaime has been an athlete since she was young, playing softball, tennis and field hockey. She continues to be active outside whenever possible and also enjoys yoga and running. For 25 years as a Physical Therapist, Carol Anne has dedicated herself to educating and empowering other to know and nourish their own bodies. 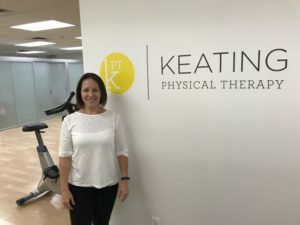 After receiving her degree from The University of Scranton in 1993, she completed extensive continuing educational course work in the field of Physical Therapy and achieved Specialist Board Certification in the areas of both Orthopedic Physical Therapy and Upper Extremity Rehabilitation. Inspired and influenced most by the work of Dr. Shirley Sahrmann, Carol Anne’s primary focus is on restoring balanced posture and movement. She views each patient as a unique and beautiful puzzle to be solved. She has even been coined a ‘a therapist of last resort,’ as she enjoys the challenge of helping those who have failed to improve with more traditional approaches. Carol Anne is also a Certified Yoga Teacher and a Reiki Master Teacher and incorporates both practices into her holistic approach to treating her patients. She is a mom, a yogi, an intuitive, and a student of life. She enjoys cycling, hiking, cross country skiing, good food, feel-good music, fresh air, getting cozy with a good book and a cup of tea, and the beauty in everyday life.